The S&P Ecowatt range of wall and ceiling fans are the quietest fans we have ever tested at Byretech. 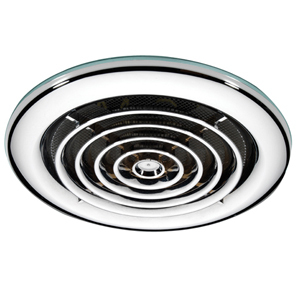 S&P ( Soler & Palau ) fans are manufactured in Spain and come from a company that are uncompromising when it comes to quality. 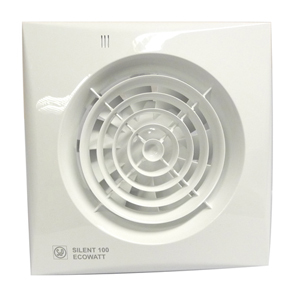 This fan is so quiet that when it's running you can barely hear it, plus as standard it comes with a backdraft shutter so when it's cold outside you don't get unwanted breezes back through the fan into your bathroom. 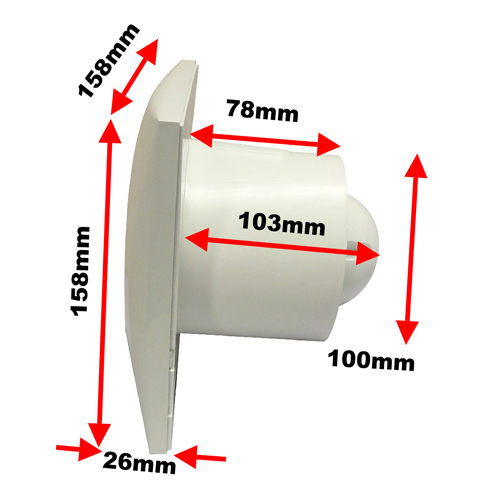 This range is designed to be very slim and have minimal impact on the aesthetics of your bathroom and has a power consumption when running of only 5 Watts thanks to its quality 230Vac brushless super quiet motor. 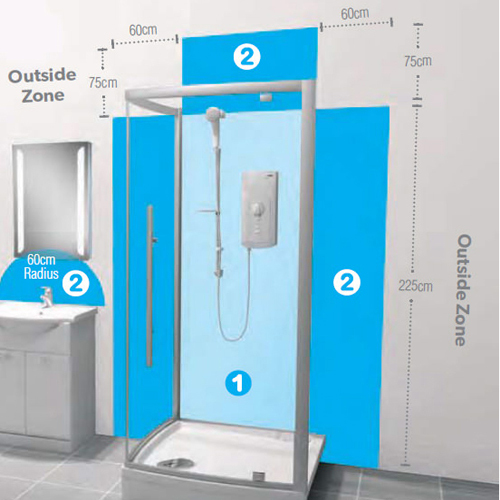 Plus they are also very powerful and can extract 95 cubic metres / hour or 1,583 Litres per minute of humid air from your bathroom. 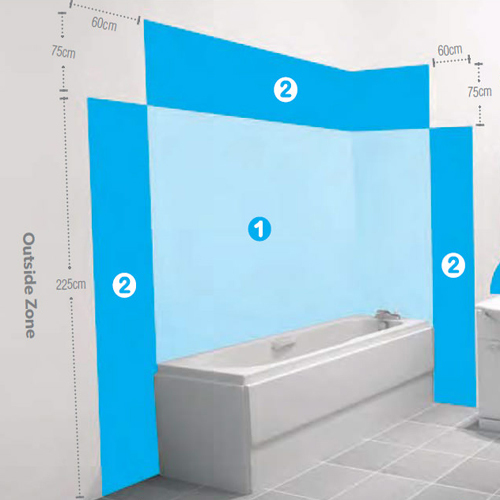 Suitable for fitment in Zone 2 or outside of Zone 2 - See Bath Shower Images above. 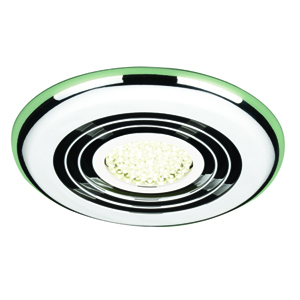 The Humidity version without doubt is the most popular, as this allows the fan to be fully automatic and not linked to the bathroom lighting circuit. 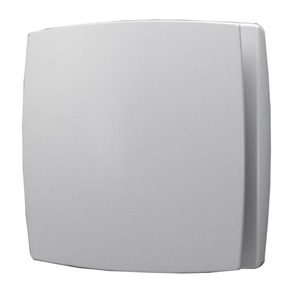 With this version the fan automatically switches on when the bathroom is humid and runs until the humidity levels are back to normal. 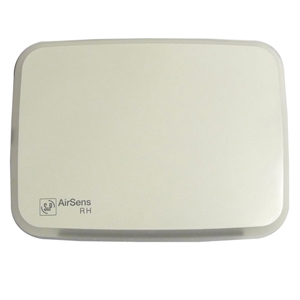 The benefit of this is that it keeps the area at set humidity levels and also helps prevent black mould form forming in the bathroom too. 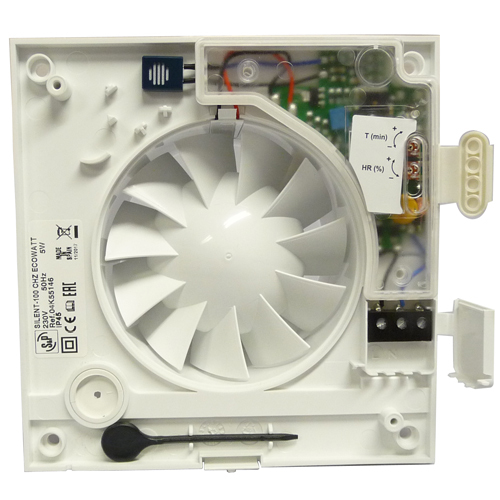 The fans are available in 2 versions and 2 colour options from Byretech. 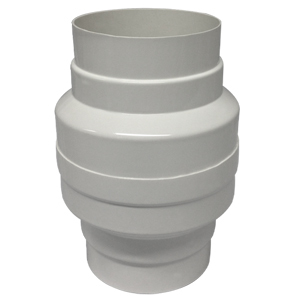 Available colours are White and Silver finishes. 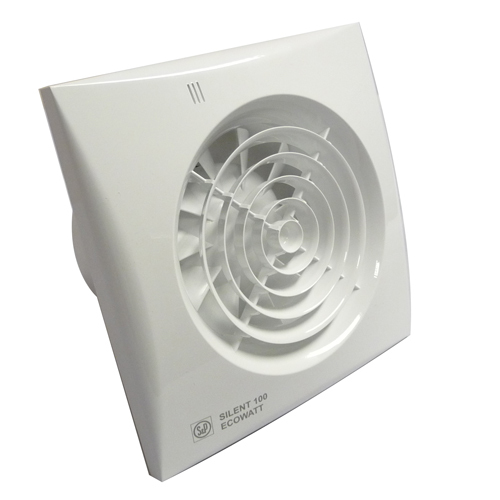 The fans are generally wall mounted and have incredibly energy efficient brushless motors fitted to them to minimise running costs. They also have back draught flaps to prevent outside air getting back in and making your bathroom cold when the fan is off. 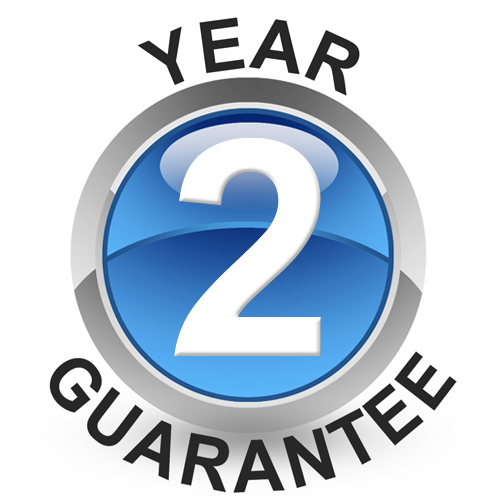 All S&P fans come with a 2 year warranty. 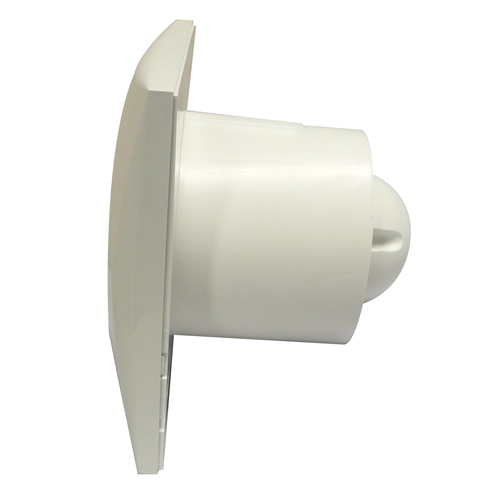 - Brushless 5 Watt motor for almost silent operation.